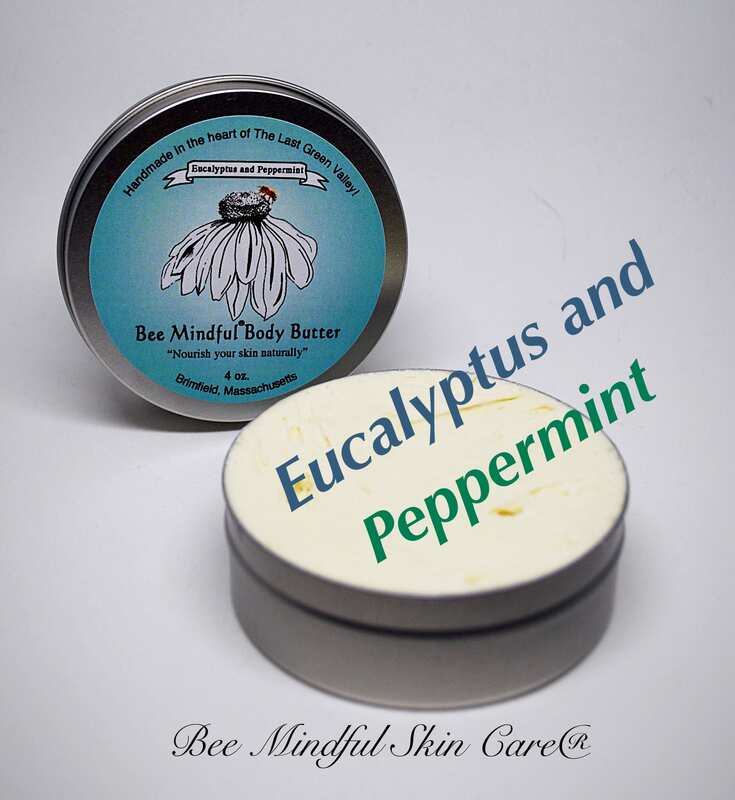 Here is our wonderful moisturizing Bee Mindful Body Butter with peppermint and eucalyptus essential oils. 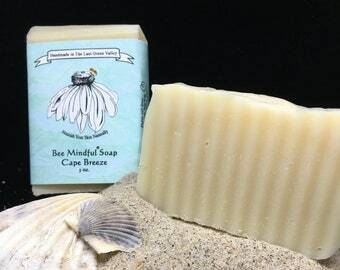 Our recipe is primarily Grade A Ivory, Raw, Unrefined Shea Butter, We have chosen to support the women villagers and producers of this awesome high quality Shea Butter. Their business is called Fair Tale Ghana and we are very proud to be supporting their efforts to educate their children. Our butter also contains apricot kernel oil, grape seed oil, and Vitamin E oil. 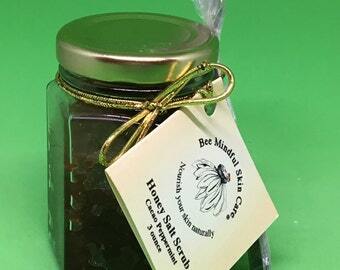 It is very thick and rich and absorbs into your skin easily. 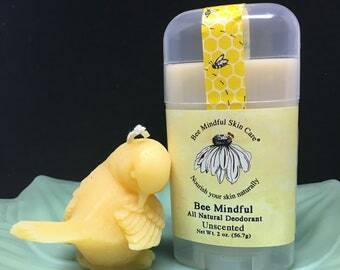 You will love it's silky feel on your skin. We make it to order and package it in 4 ounce round recyclable tins that are 3 inches in diameter.